Following is a partial listing of publications and presentations by Marie-Françoise Guédon. 2007. "L'ethnologie de l'aire Pacifique-Nord". L'Encyclopédie ethnologique, edited by Michel Izard du CNRS, Paris, France. 12 pp. -----. Archiving the Frederica de Laguna photography collection. State Alaska Library (Juneau, AK). 2005. Le rêve et la forêt - Histoires de chamanes nabesna. Québec (QC): Presses de l'Université Laval. Nominated for the Governnor-General Literary Award in 2006. 2000. Sacred Smudging in Northeastern America: Plants burnt for their smoke in Aboriginal Northeastern America, volume 1. Quebec: Walkabout Press. 1995. "La femme et le pouvoir dans les pratiques chamaniques des Dénés, Amérindiens de lâ€™Alaska et du Nord-Ouest canadien." Femmes et religions. 1 :207-235. 29 pp. 1994. â€œDene Ways and the Ethnographers Culture.â€� in David E. Young and Jean-Guy Goulet (eds. ), Being Changed by Cross-Cultural Encounters, The Anthropology of Extraordinary Experience, Broadview Press, pp. 39-70. 1988. "Du rêve à lâ€™ethnographie â€“ Explorations sur le mode personnel du chamanisms nabesna." Recherches amÃ©rindiennes au QuÃ©bec. 18(2-3):5-18. 14 pp. 1984. "An Introduction to Tsimshian World View and Its Practitioners," in M. Séguint, ed., The Tsimshian Images of the Past: Views for the Present. Vancouver (BC): U.B.C. Press., Chapter III, pp. 137-159, and "Tsimshian Shamanic Images," ibid., chapter V, pp. 174-211. 1980. Gathering What the Great Nature provided: Food Traditions of the Gitksan In collaboration with the people of Ksan and Polly Sargent, as the ethnographer of a team of Gitksan Elders, 125 p.
1974. Wiget Wanders On. Legends of the Northwest. In collaboration with the People of 'Ksan and Polly Sargent. As the ethnographer of the team, I recorded versions of the texts in Tsimshian and assisted in the translation process and the transcription of the Gitksan text. 1972. co-authored with George MacDonald, 'Ksan. the Breadth of Our Grandfathers. Ottawa, National Museum of Man, 1972 (author of the catalogue, pp. 27-108). Auteure de toute la traduction française: â€˜Ksan. le souffle de nos ancètres. ibid. 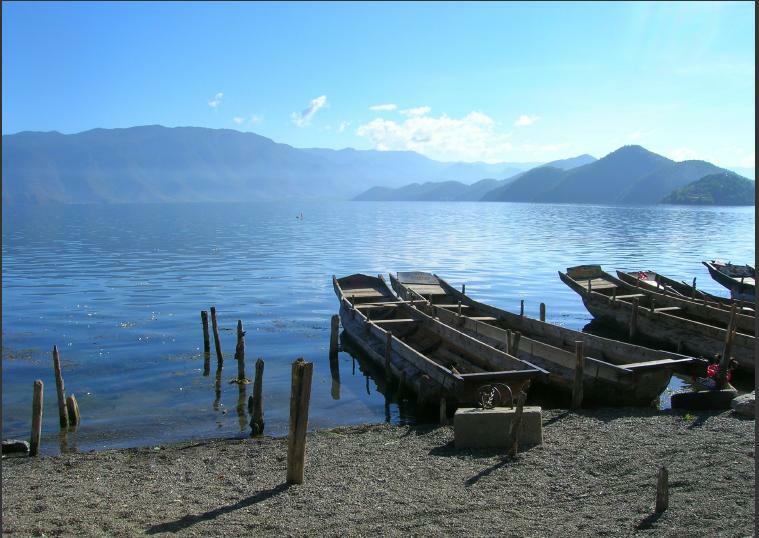 2011. â€œTourism Development and Cultural Preservation in the Lugu Lake Region.â€� A report to the Mosuo Cultural Preservation Association., Lugu Lake (Yunnan, China). 2010 May. Co-author C. Gaver. "Intangible Culture: Perspectives on the Immaterial Aspects of the Human World." The Canadian Museums Association National Conference. St. Johnâ€™s (NFLD). 2010 May 10-15. -----. â€œDigitalization, Intangible Culture, and Cultural Heritage Sites: the Virtual Museum as Community." The World Heritage and Tourism Conference: Managing for the Global and the Local. Conference Organisers: UNESCO/UNITWIN NETWORK for Culture, Tourism and Development, the Faculty of Business Administration at Université Laval, the Université de Paris, La Sorbonne and the Centre for Tourism and Cultural Change at Leeds Metropolitan University. Québec City (QC): 2010 June 3-4. 2009. Co-author with Martin Kalulambi & Jean-Claude Mboka. "Projets de déeloppement dans la forêt équatoriale Bikoro-Mbandaka-Basankusa." Ottawa: University of Ottawa. -----. "Intangible Culture and Indices of Cultural Well Being.â€� Aboriginal Policy Research Conference. DIAND. Ottawa (ON). 2009 April. 2008, "Intangible Culture and Cultural Heritage." Technological Approaches to Preserving Intangible Heritage Conference. Conference Organisers: CHIN and InterCulture. Beijing (CHINA), 2008 August 2-3. 2007. "Politics of Culture and Cultural Continuity, the Inuit of Canada." University of South Western Nationalities. Qingxai (China). 2006, "Canadian Aboriginal Peoples and the role of culture in Aboriginal models of development," keynote speech at the Yunnan International Forum: Indigenous Development: & Modernisation in Kunming (Yunnan), China, 2006 August 6-14. -----. "Canadian Models of Cultural Development in Aboriginal Context." A multidisciplinary enquiry, in collaboration with the DIALOG network (in Montréal) and the Institute of Indigenous Studies at the Université Laval in Québec, Montreal (QC). -----. "The notion of worldview and its place in the definition of cultural differences," paper prsented at the Yunnan International Forum: Indigenous Development: & Modernisation in Kunming (Yunnan), China, 2006 August 6-14.